If you are an accomplished rider or just curious to give it a try, what better way to discover the local surroundings than on horseback? 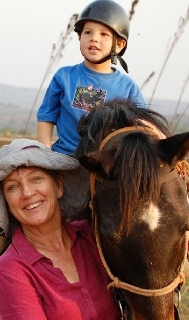 Whether you prefer just one short ride, even with a walking groom for total beginners, or a custom-made riding holiday on horseback, CASA GUCI - in partnership with the well-established equitation centre MOZAMBIQUE HORSE SAFARI - can cater to your individual needs. 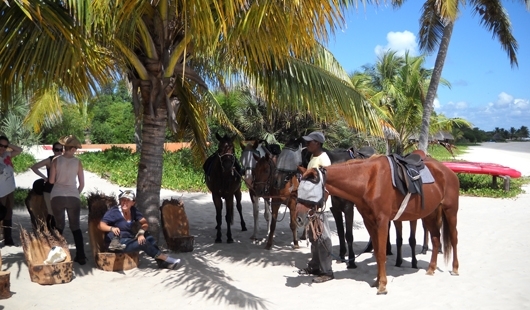 Enjoy a 2 hour ride along our tranquil beaches, explore the exclusive islands, or discover the bush as part of a fully organised safari on horseback. 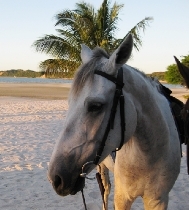 For a unique and unforgettable experience, swim with the horses in the warm waters of the ocean or try a romantic moonlight ride.